The mouth-watering taste of Southern Fried Chicken is all down to our founder, Arthur Withers, who was inspired by the flavours he discovered on his travels. Born in 1935 in the East End of London, Arthur was the youngest of three brothers and two sisters. Space was tight in the single bedroom house so Arthur spent the first part of his life sleeping in a cardboard box at the end of his parent’s bed. By the time Arthur had reached four years old, the Second World War had begun. The Withers family home was situated just half a mile from the Woolwich Arsenal manufacturer of armaments, a regular target for German Bombers, so his life quickly became one of days spent playing in bombed out streets and nights spent huddled in an air-raid shelter hoping desperately for survival. This routine continued until a direct hit one night left the family home nothing more than a pile of smouldering bricks, and the Withers completely homeless. Separated from his family & friends, Arthur was evacuated to Norfolk to spend years on a chicken farm learning to care and raise the animals that would ironically lead him to his greatest success. On his post war return to London, and the subsequent search for employment, Arthur decided against joining the army as most of his friends were doing. Being strong willed and always willing to experience new things, he also turned his back on his farming experience to become an apprentice for Reuters News Agency in Fleet Street. He then moved on to spend some time at a printing ink laboratory, before his employment as foreman of a bubblegum factory came to an end when Arthur eventually decided to leave and joined the army. After three happy years serving in the armed forces, Arthur went to work selling pot scourers, his first step on the path into the world of catering. Always on the search for new opportunities, it was during this time that Arthur developed the ‘Bake & Take’ concept. This was a small concept based on selling small hot snacks such as pies & jacket potatoes as an add-on to an existing business, even if that business was not specifically food orientated, such as fuel stations or newsagents. This concept quickly expanded across Europe, Scandinavia and even as far away as Australia and was eventually handed over to be run by Wimpy International. It was during this time that Arthur moved to work in the sales force of an American Company: Barbeque King, and moved to Reading with his wife and three children. 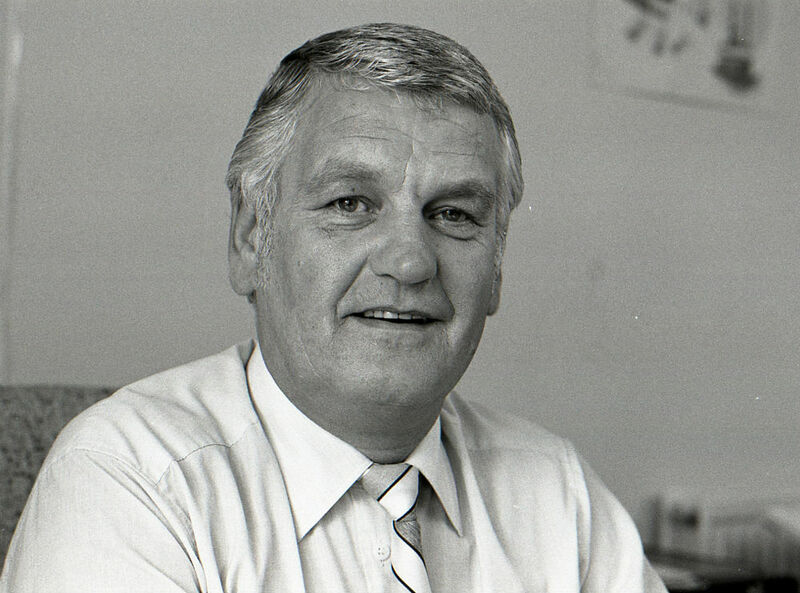 Whilst working here he increased his knowledge of commercial catering equipment, and also set his wife up with her own business of selling domestic catering equipment from a small shop. During this time Arthur went on several trips across the USA learning about Fast Food and commercial catering equipment, but one particular trip was to leave a lasting impression. During a trip to Greenville, Carolina, Arthur was having Sunday lunch at his hotel and was served fried chicken, a dish he had never experienced before and fell in love with at first bite. He eventually managed to get the recipe, and left to continue on his trip around the southern states of America. Two days later he was in Montgomery, Alabama when he was taken on a riverboat cruise. The image of a Mississippi steamboat combined with the taste of fried chicken started an idea in Arthur’s head, one which was soon to be realised as the now world renowned Southern Fried Chicken brand. He used this opportunity to give his son Andrew his first business lessons, by standing him outside the shop with a barbeque selling burgers and hot dogs to learn about the value of money and the work involved in building business. This also served as a good promotional tool for the barbeques and soon the shop was selling over 3 tonnes of charcoal per week. Due to this success the company moved into a warehouse with a large showroom and started to import and distribute the American fast food equipment. During this time the fish & chip trade began to suffer due to the growth of chains of McDonalds & KFC, and the traditional English take-away couldn’t keep up. With take-aways wanting to compete with the major players and with the help of his son Andrew, the Southern Fried Chicken Brand moved from being an idea to a work in progress. Working from their family garage, and after many nights of being forced to disrobe before being let into the house due to all the flour on them from the ingredient experimentation, the recipe & procedure for Southern Fried Chicken that we still use today was finalised, and the taste and image that Arthur had seen all those years ago in the deep south was born in the shape of a brand. There was however a twist, which was to push the brand beyond success, which came in the form of adding burgers to the menu. This meant instead of diners having to choose either the chicken shop or burger bar, they could just visit the one shop and choose either! The success of this concept spread faster than they imagined and was soon turned into a fully functioning franchise. It was not without its problems, the American equipment was become increasingly expensive to import, so to combat this Arthur added the manufacturing string to the company’s bow, and the Vizu Brand was born. This cheaper, British made alternative to the American products sold well across Europe in large volumes and the products in the range also increased in order to be able to provide for different groups such as food courts and cinemas. 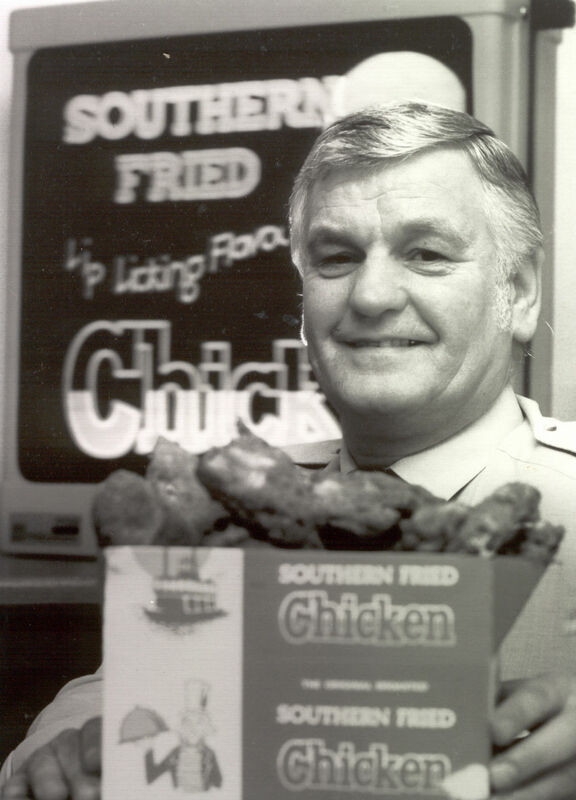 In 1983, Southern Fried Chicken moved into the offices they are still in today, complete with its own manufacturing department. Thanks to lots of hard work by both employees and the franchisees, the Southern Fried Chicken Brand is now over 700 stores strong, across over 70 countries worldwide, and the Vizu range currently consisting of 100 products with the research and development department regularly adding more. While outdone by the growth of Southern Fried Chicken, Arthur’s son Andrew also grew up. He has just taken over at the helm of the steamboat from his father, with the intention of sailing on further towards the ever-expanding horizon. So if you have the same ‘Arthur Spirit’ and drive for success then do not hesitate to contact us. One particular trip would leave a lasting impression on Arthur – the image of a Mississippi steamboat combined with the taste of fried chicken. This meant instead of diners having to choose either the chicken shop or burger bar, they could just visit the one shop and choose either!